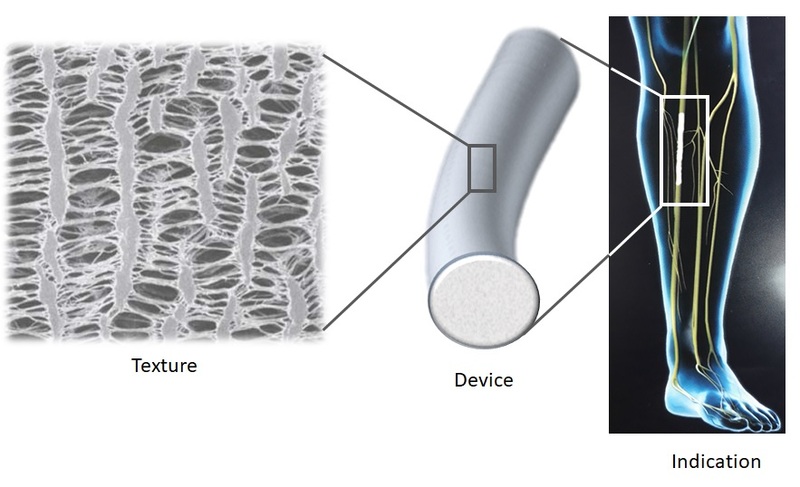 NMD Technology targets the current challenging issue of cloth formation with long-term implantable medical devices in contact with physiological fluids, such as blood. More specifically, tubular prosthetic vascular grafts distinguish with limited long-term patency, particularly in small diameter applications, when the survival rates clinically are up to 70% in 2 years, and up to 50% in 5 years after surgery [J Vasc Surg 2003;37:1263/ BMC Surgery 2008;8:22/ J Vasc Surg 2010;52:232/ J Vasc Surg 2014;60:506]. Appropriate surface modification of the currently used materials would help to reduce the graft vulnerability to failure. However, the high length and small diameters (6.0 mm or less) of some grafts restrict the accessibility to their internal surface by traditional modification techniques. NMD develops an innovative deep penetration plasma technology, for the efficient modification of any segment of the surface of polymeric tubular devices, such as vascular grafts. Using the technology, during the device processing stage, aims to impart its surface with enhanced biocompatibility for extended clinical patency. The novelty of the technology consists in the concept of the system setup providing access to the internal segments of any tubular device, with no impact on its texture and mechanical characteristics. In NMD – is responsible for the overall project management, engagement with stakeholders and business development. 10+ years industrial and academic research experience focused on polymers, nanomaterials, advanced surface modification techniques, coatings, smart fibers. Doveloper of the NMD technology, system setup and device modification process. Experience with projects with private and public funding in partnership with SONY, RWTH-Aachen Germany and Anheuser-Busch InBEV NV/SA (AB InBev). In NMD – in charge of the technology development and validation with customers. The team has more than 30 publications and patent applications from previous and ongoing projects, and a network of internationally recognized partners with expertise in physics, chemistry, biology, engineering and medicine.